Bonnie Rosen, one of the youngest persons to be inducted into the Philadelphia Jewish Sports Hall of Fame, has been an outstanding high school, college and internationally competitive lacrosse player, as well as a successful women’s lacrosse coach at the University of Connecticut and Yale University. A native of Bala Cynwyd, she is a 1988 graduate of Harriton High School in Lower Merion where she was a three-sport, 10-letter winner and a lacrosse All-America. She represented Philadelphia on Bronze Medal-winning basketball teams at two Maccabiah Youth Games. Rosen attended the University of Virginia where she became a four-year, two-sport athlete, playing lacrosse and field hockey for the Cavaliers. During her career at Virginia, she earned All-America honors and was named Captain and MVP of both the field hockey and lacrosse teams in her senior year. In 1991, she led the lacrosse team to its first NCAA Division I National Championship. 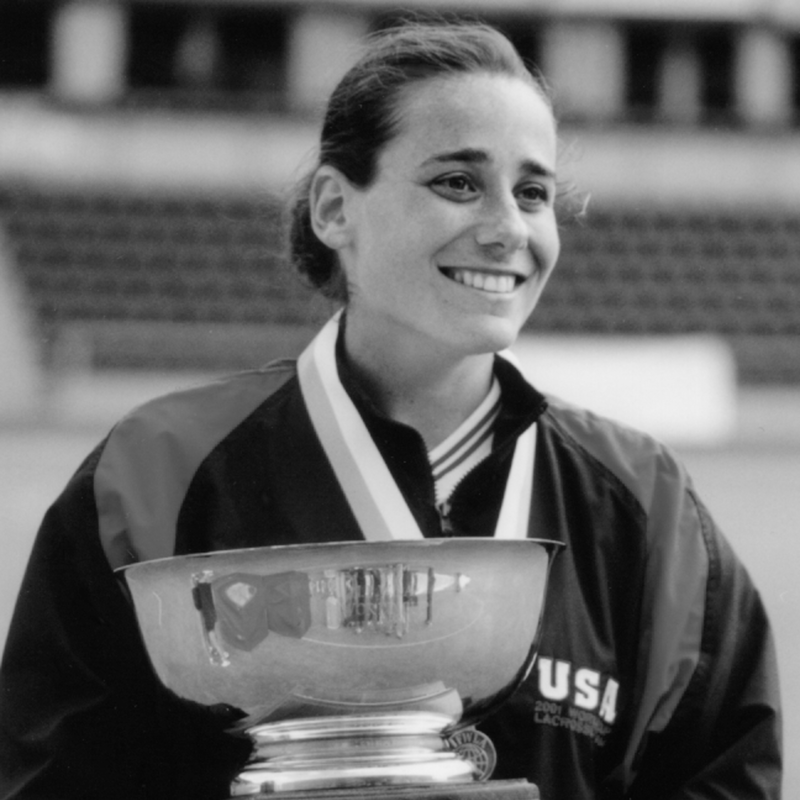 Rosen, 31, who played on two Gold Medal-winning U.S. teams in the World Cup Championships in 1997 and 2001, began her college coaching career in 1995 as assistant coach for the Yale University’s women’s lacrosse team. During her two-year stint at Yale, her team’s won the ECAC Division I Championship in 1995 and finished second in the Ivy League in 1996. In 1997, the University of Connecticut tapped Rosen to become its first women’s lacrosse team coach. Her knowledge of the sport, her dogged recruiting efforts and her leadership abilities all combined to get the first team assembled and competitive. After only two recruiting seasons, she guided her team to postseason appearances in the Division I Championship. Rosen has improved the team’s schedule and competition, and many of her athletes have been honored for their exceptional athletic and academic accomplishments. The Main Line native richly deserves the accolades she has received as a player, coach and teacher.